"The cuties white nostrils indicate female, but that deep purple just screams male to me. 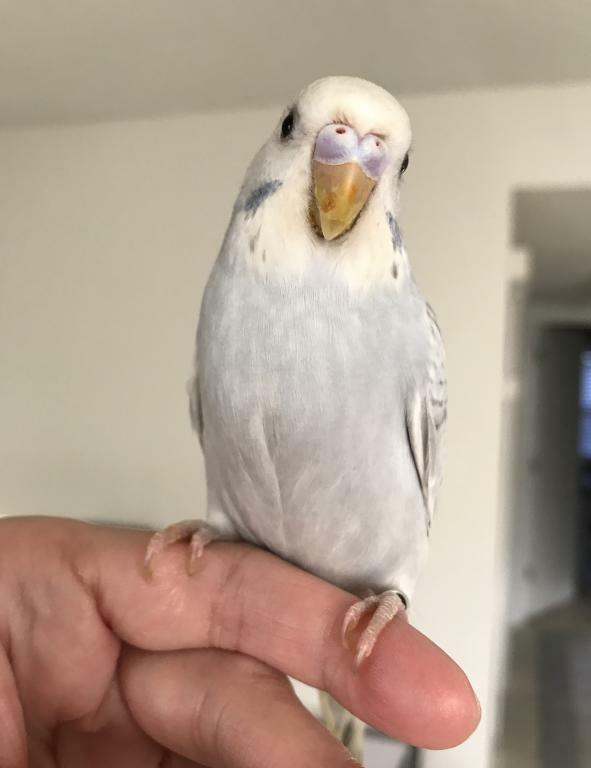 The cutie pies mutation is affecting his cere color." How long have you had "her"? I've looked both at this photo and the one in your introductory thread. Last edited by FaeryBee; 02-07-2019 at 08:50 PM. Whenever you ask opinions on various/multiple forums/groups you are going to get answers from people at different levels of knowledge and experience. How do you then know whom to believe? I recommend finding a particular forum or group where you trust specific individuals' knowledge and experience if/when you have questions. Some groups are more for "social" interactions. Talk Budgie's focus is to provide educational resources and helping members learn as much as possible about the best practices for the health and well-being of their budgies. Deborah made a good point about asking too many people. I'm glad you now are confident Scout is a female.